Being physically fit has health advantages for your muscles, tendons, bones, and the health of your heart and brain. In fact, being physically fit could be a better predictor of survival and longevity than traditional cardiovascular risk factors that most doctors rely upon when evaluating patients. We often look at markers like blood sugar, lipids, and blood pressure to determine the likelihood of someone being alive ten or twenty years down the line. But according to a new study, we should focus more on fitness level! How do we know this? In a new study presented at the American College of Cardiology’s 68th Annual Scientific Session, researchers looked at new data from a recently conducted study. This data points to physical fitness as a strong predictor of how long an older person will survive. This study revealed that the fitness level of an individual is a more useful measure than the one’s health professionals currently use for predicting survival in the upcoming decades. Health care professionals draw blood tests to check lipids, blood sugar, inflammatory markers and other markers of future health risk, but looking at fitness level may be a more fruitful way to predict future health outcomes. Fitness matters! To reach this conclusion, researchers looked through the records of 6,500 men and women over the age of 70. The participants had undergone cardiac stress testing at a group of affiliated medical centers between 1991 and 2009. During a cardiac stress test, participants walk on a treadmill as the technician gradually increases the incline or speed of the treadmill to force the heart to work harder. The goal is to get the participants to exercise as hard as they could before being forced to stop. During the study, technicians monitor the patient’s heart rhythm, blood pressure, and breathing rate and compare them against established norms for their age. After analyzing the data, the researchers divided the participants into fitness groups based on how many metabolic equivalents of exercise they could do before having to stop. The MET system is a way to determine an individual’s exercise tolerance and compare the exercise tolerance of one individual to another. Using METs, the researchers divided the subjects into “most fit,” “moderately fit,” and “least fit” categories. After determining their level of fitness, the researchers followed the participants for a decade to determine their outcomes. 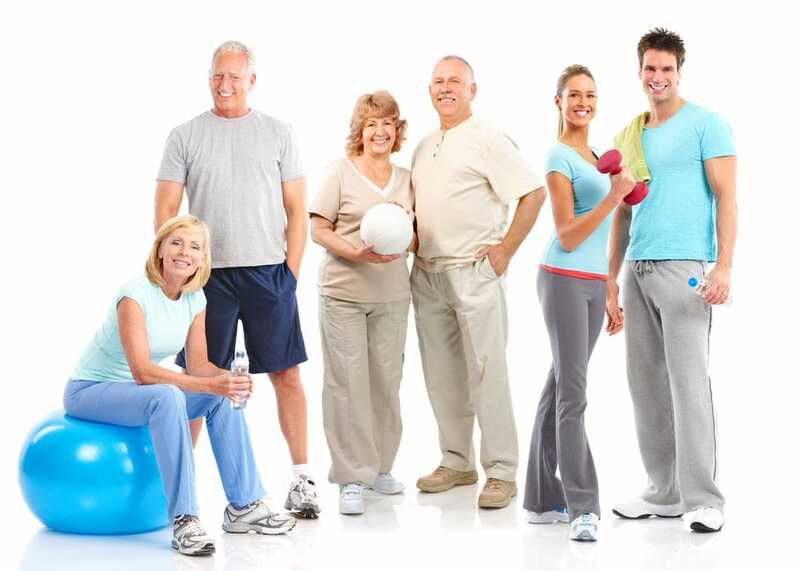 What they found is good news for older adults who are physically active. The individuals in the “most fit” category had double the odds of being alive over the decade relative to the “least fit” group. Also surprising was the fact that the participants’ other cardiovascular risk factors weren’t linked with their risk of dying. Fitness scores were a better predictor of survival in this study of older individuals than were conventional measures of cardiovascular risk. Most health care professionals don’t measure or have a good idea of how physically fit older patients are. The only time they get this information is if the patient undergoes a cardiac stress test. But it matters! What’s more, this study shows how important it is to be as fit as possible even later in life. Unfortunately, activity levels decline with age. Studies show older adults are sedentary 10 or more hours per day, and only about one in four does any type of formal exercise, such as walking. Along with sitting comes a loss of muscle strength and muscle size, another contributor to injuries and early death in older individuals. So, it’s not just cardiovascular fitness that matters. Muscle strength does too. In fact, other studies show that upper and lower body strength are strongly associated with all-cause mortality in healthy, older adults. Morbidity also suffers. Older adults who lose muscle mass are at higher risk of sustaining an injury, such as a fracture, that dramatically alters their quality of life. Based on these findings, some experts believe that health care professionals should measure hand grip strength and follow it over time in older adults. Indeed, a study published in the British Medical Journal and discussed on Clinical Advisor showed a stronger hand grip was associated with reduced mortality and linked lower death rates from heart and lung disease as well as some types of cancer. Also, more hand grip strength was correlated with lower all-cause mortality. Being strong matters! To maximize health and longevity, we need to stay physically active throughout life! Physical activity becomes even more important in women after menopause when muscle and bone loss accelerates. Along with the loss of muscle, we start to gain more visceral fat around organs such as the liver. An increase in visceral fat correlates with a higher risk of type 2 diabetes and cardiovascular disease. Our metabolic health suffers when we’re not active! The best way to stop this onslaught of changes that impact our health is to stay physically active, strength train, and eat a diet of nutrient-rich whole foods rather than processed junk. You do have some control over the aging process! Having high aerobic fitness and good muscle strength are both strongly correlated with health and longevity later in life. The good news? It’s never too late to improve your physical fitness and functional abilities. Studies show that even people in the eighth and ninth decade of life can improve physical strength and muscle size through training. Your body will change over time as the aging process takes hold, but you have some control over what kind of changes occur. Why not help it change for the better by building strength and staying physically fit with exercise that improves aerobic capacity? · Arch Phys Med Rehabil. 2018 Oct;99(10):2100-2113.e5. doi: 10.1016/j.apmr.2018.01.008. Epub 2018 Feb 7.